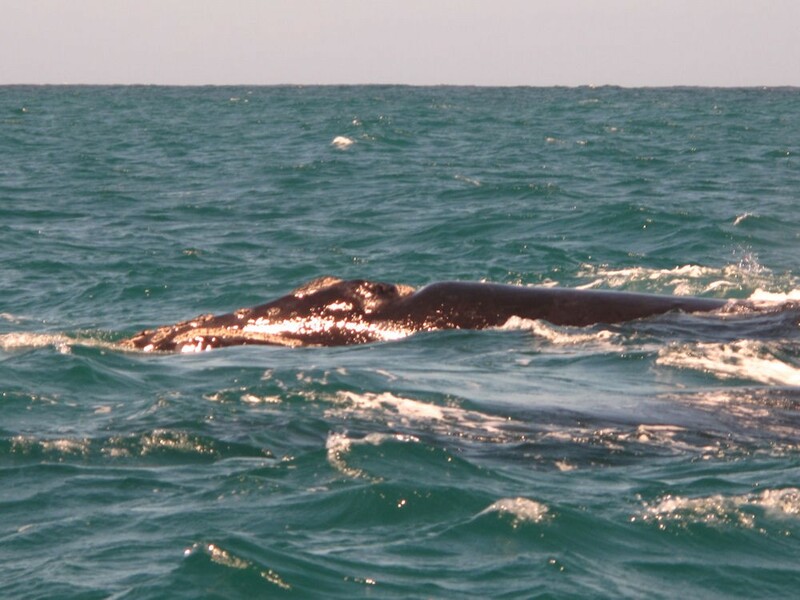 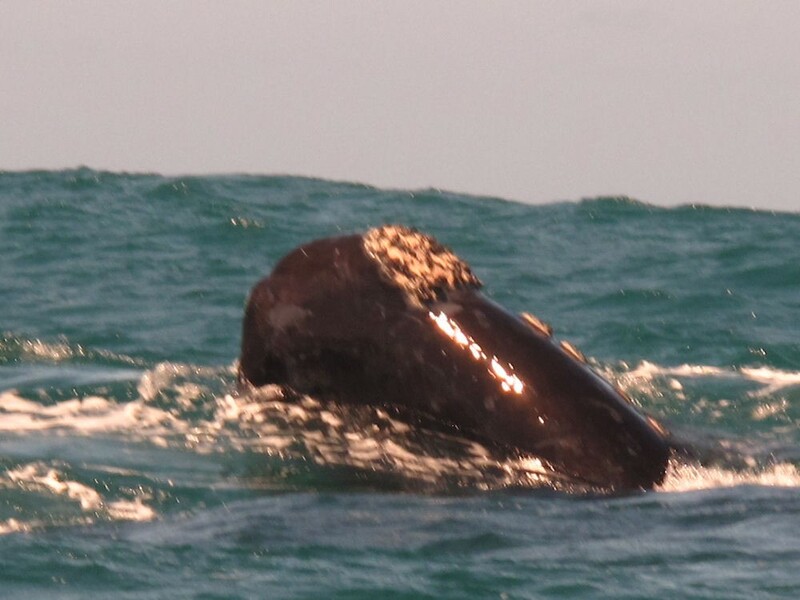 The Southern Right Whale also known as the (Eubalaena australis) is a baleen whale, one of three species classified as right whales belonging to the genus Eubalaena. 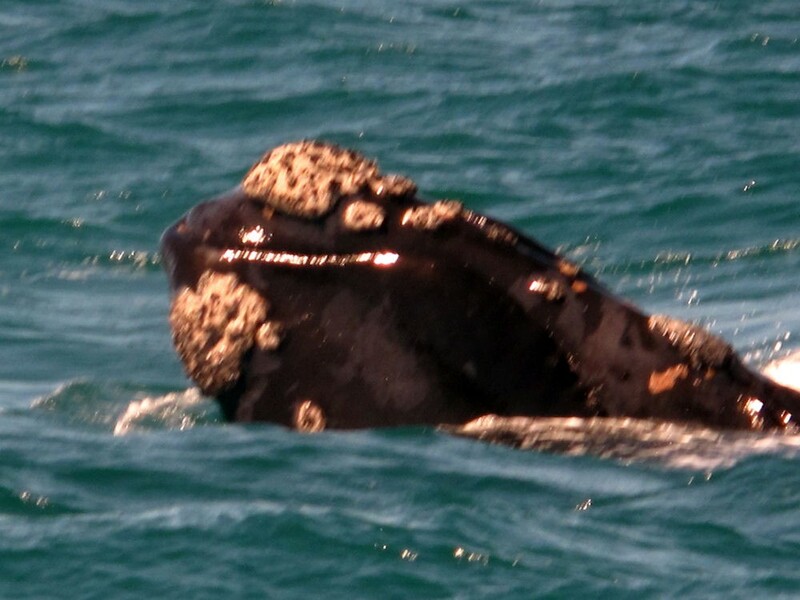 Like other right whales, the Southern Right Whale is readily distinguished from others by the callosities on its head, a broad back without a dorsal fin, and a long arching mouth that begins above the eye. 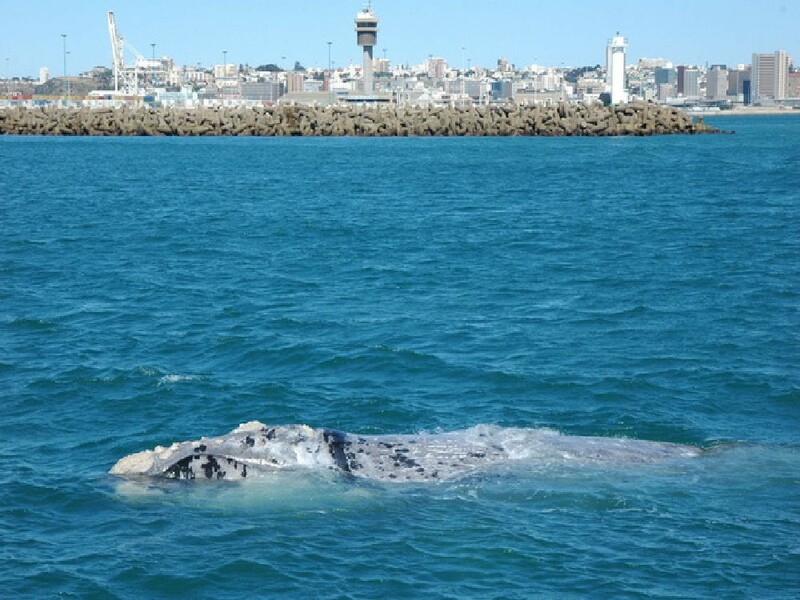 Its skin is very dark grey or black, occasionally with some white patches on the belly. 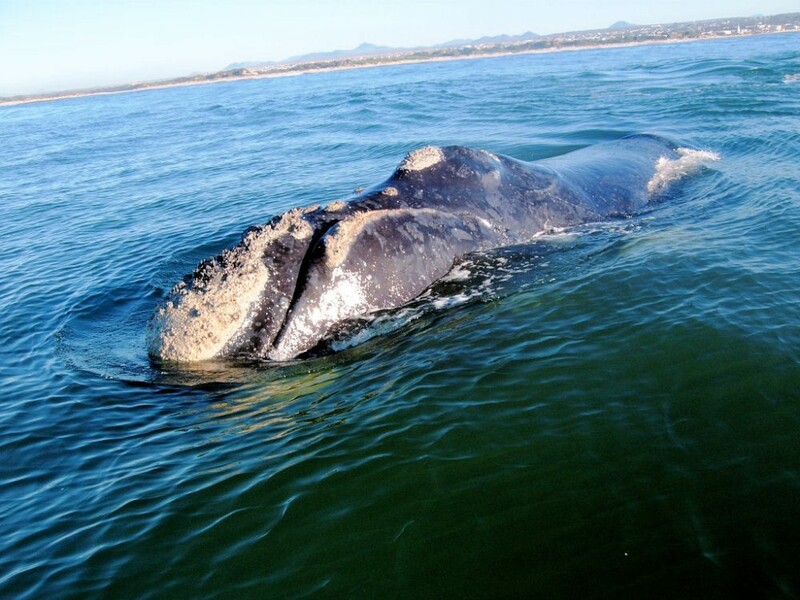 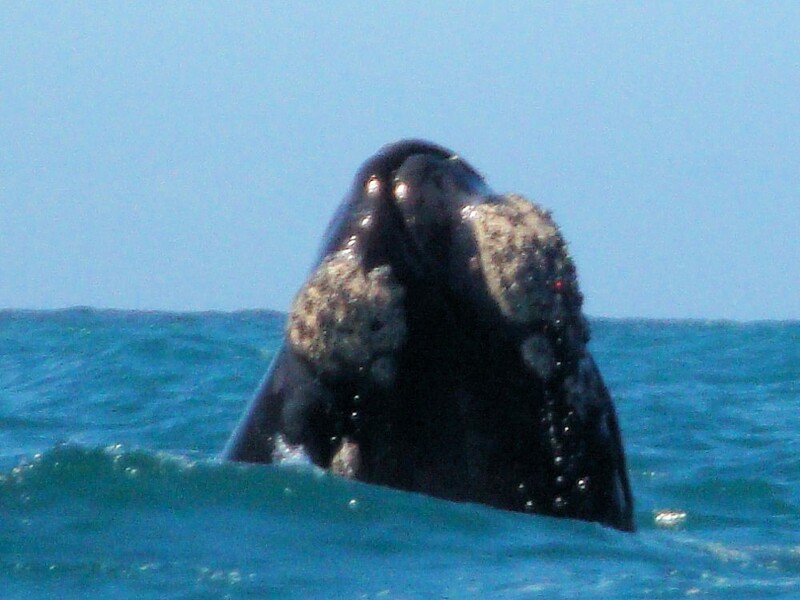 The right whale's callosities appear white due to large colonies of cyamids (whale lice). 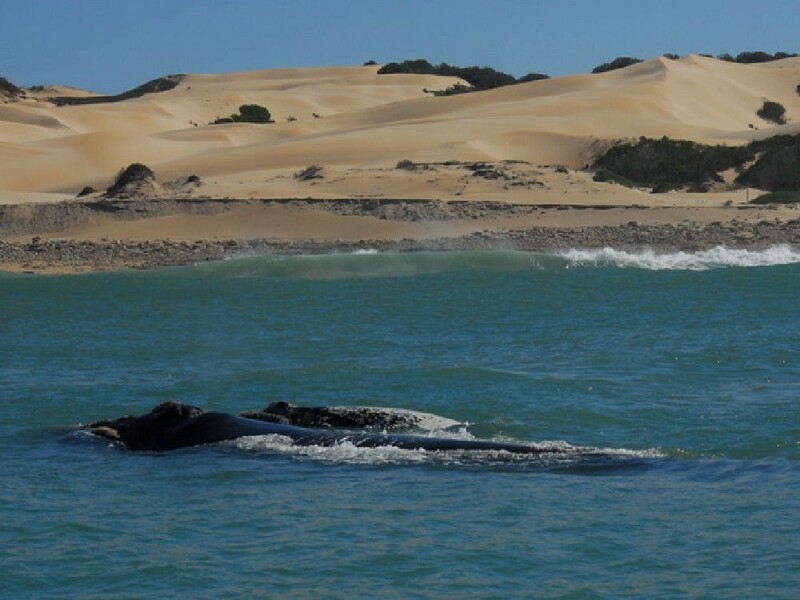 features: The Southern Right Whale was initially described as Balaena australis by Desmoulins in 1822. 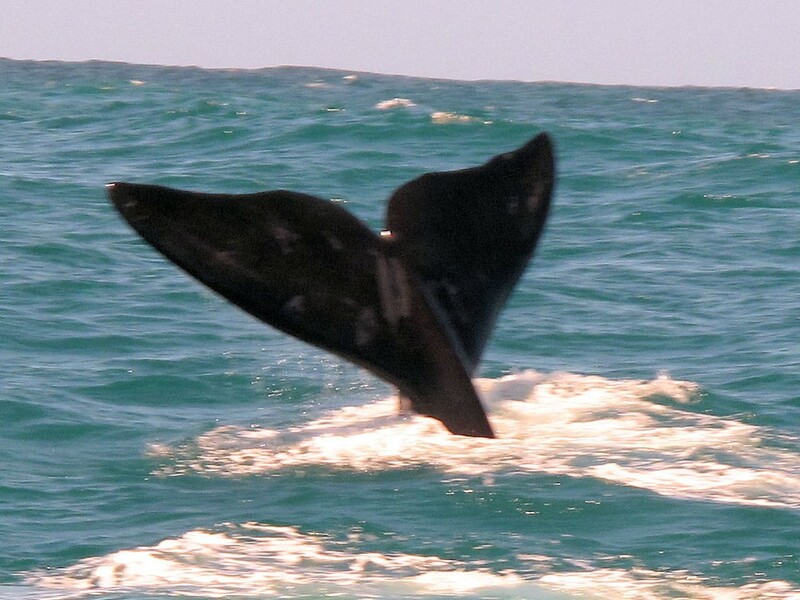 It has been reclassified repeatedly, most recently as a species separate from the other right whales, and may be reclassified again into its original genus because scientists now find greater differences among the three Balaenoptera species than between the Bowhead Whale, the only current member of Balaena, and the right whales.